The Wise ‘Men’ see a star. 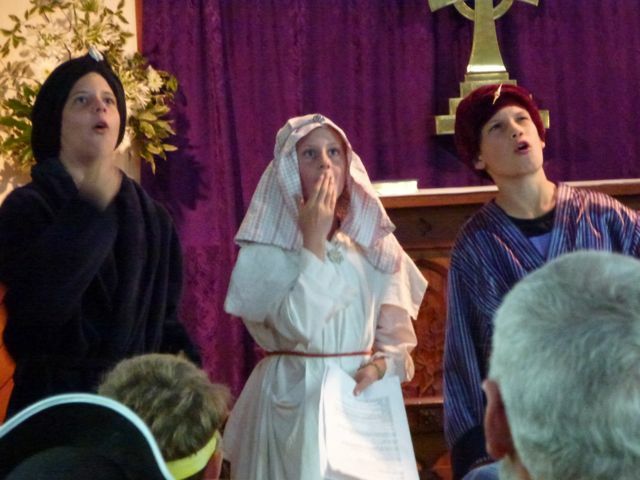 Many local families turned out to see the Nativity play at our popular 5pm Christmas Eve Children’s Service. A similar number (but a rather different demographic) attended Midnight Mass at 11.15pm. 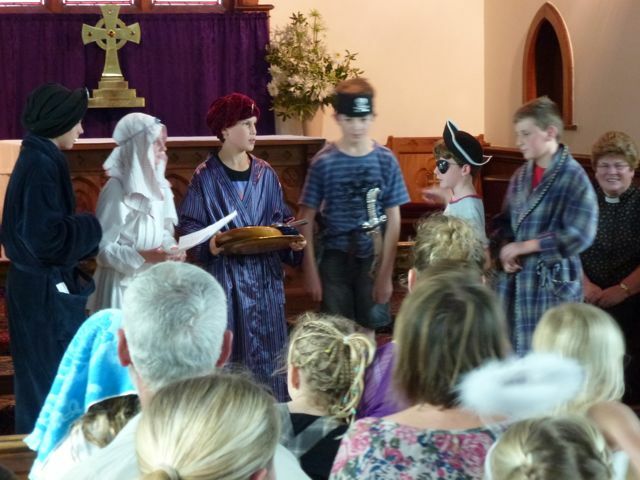 This year’s Nativity Play, written and directed by Liz Dickson, featured not only Wise Men and the Holy Family, but Mediterranean pirates too. The cast of children pulled off a wonderful performance, which was punctuated by carols and rounded off with a short homily from Rev’d Lynnette Lightfoot. Every year it is a great joy to share the beginning of Christmas celebrations with many local families, to bless them and be blessed by them at this holy season. We hope to see some of these families return in the New Year for Messy Church on the 9th February. This is open to the whole community and everyone is welcome to join us for Bible stories, songs, and crafts, finishing with a shared supper. To learn more about Messy Church, click here. 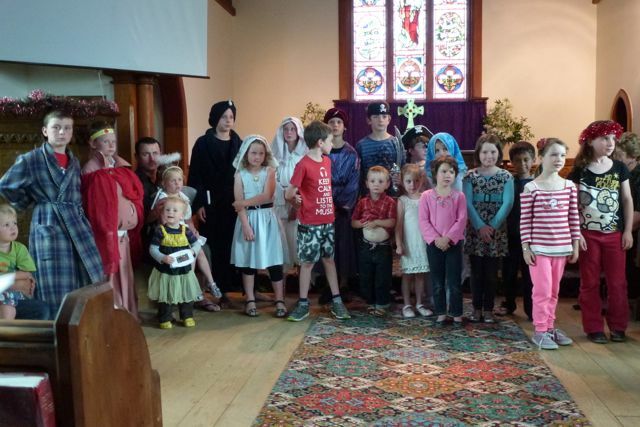 This entry was posted in Children and families, community events, Messy Church. Bookmark the permalink. 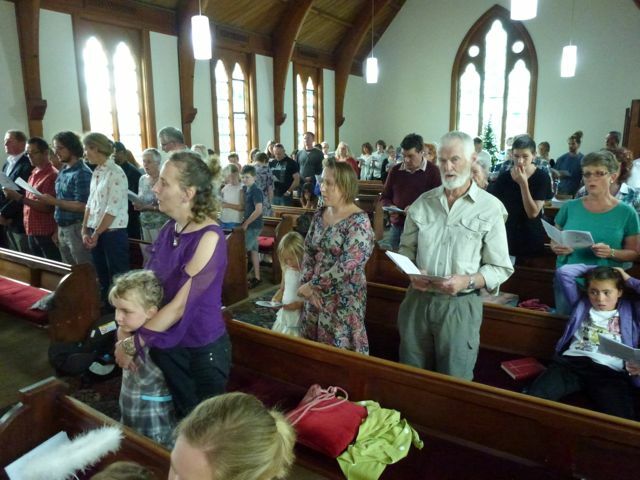 ← NZ Census figures – Should Anglicans be worried?